(6) CHEON GOE SEONG has a best of 2nd from three starts so far. On his latest outing on March 3rd, he raced a touch ungenerously when performing below expectations in 6th and if he sorts his manners out, he has a good chance of winning today. (4) KING OF EAGLE proved to be even more of a pain in his latest effort, hanging outwards in the home straight to the extent he got ordered back to trial. He still finished 2nd though and flew through the subsequent trial and if he behaves himself, he too has a strong chance. (2) EX BLADE should be better back at the minimum trip today while (1) SEMYEONG STORM was a little big sluggish at the start on debut four weeks ago and can improve here. Of the four debut-makers, Luigi Riccardi’s (7) HOLIDAY MORNING looks the pick having won a trial in fine fashion two weeks ago, although (8) CLASSIC DANCER also showed some promise in her heat. A maiden for fillies only. (7) CAMP BADA beat a couple of these on her way to an improved 3rd place on March 2nd. She looks set to get on the early pace here and has strong claims to win. She’s not the only one though. (1) BEST SINHWA has run 4th and 3rd in two starts so far. She tackles 1300M for the first time today and the way she has run on both times suggests it may suit. (9) KAHINAH was only beaten a nose at this distance on her latest start six weeks ago. This looks tougher but she can be respected. (6) REIGN ran 6th behind Camp Bada last time and can get closer today while (10) DURI, another who improved to 2nd last time, is also in the hunt. (7) LOOKING GOOD was a comfortable winner on debut last November and then ran 3rd on his first try at this level over 1300M in January. He’s not raced since then but is nicely drawn to get on pace early here and he could win. (2) BLUE FIRE is yet to win after eight attempts but has been close a number of times. He ran 2nd on his most recent try at this distance and can be a danger here. (4) MAPAEBONG was a close at hand 4th at class and distance last start and should be in the hunt for at least a place here. (5) POP STREET and (9) HANSEN BAROWS others who could go close. (1) HEUK JEONSA is up in class having secured his maiden win on his third career start – and first at this distance – on February 23rd. He was drawn in the same gate that day and can repeat the tactic of sitting just behind the pace and finishing strongly. It took (4) CUPID GANGJA seventeen goes to make his own breakthrough but it came at this class last month when he ground out a gutsy victory by a nose. He can go well again. (3) CHOM NIA showed signs of coming back into form with a solid 4th at the distance in a tougher race than this last start and can at least match that today while (2) MAENGSAN HERO and (7) RAON PRO SENSE are better than their respective latest efforts suggest and should be close. (6) TOP BRAIN was a much-improved 2nd back in January when tried at five furlongs for the first time. He looked like he still had plenty to learn prior to that but now having had a couple of months off since, he’ll be the one to aim at here. (2) HEUNGBOK DREAM enters after two useful performances in similar races to this and is one of the main dangers along with (11) BEST CHAPEL, who similarly hasn’t missed out by much in either of her latest two. (1) MIREU STORM has seemingly lost his way a little bit but has plenty of talent and with a good start, can be another chance today. (7) JEJUI BARAM another who can go close. (4) JANGSAN BOBBY ran pleasingly enough for 3rd on debut at this distance on March 1st, beating three of these in the process and he’s favourite to step up and score today. Filly (5) BEAUTIFUL MARINE has finished no worse than 3rd in four starts so far. She’s overcome wide draws to run 2nd in both her latest two. Beaten by good winners each time, she’ll be a big danger here. (8) TAP SOCKS was a useful 5th on debut at the beginning of this month and can build on it here, while of the two first-time starters, (3) KOREA PRINCE performed promisingly in trials and should go nicely first-up. (1) INCHEON SPEED has hinted at ability across five starts so far and overcame some serious bumping at the start last time to run a decent 5th at this distance. He is a touch inconsistent but could get things right today. (5) SUN START was 6th in that race just half a length back and can go closer today too but a bigger threat is likely to come from (7) CRAZY WIKI who enters with a win and a 2nd place from his latest two. Those runs were both at 1000M, but he should be able to get on the lead early and looks ready for another crack at this distance. (9) NASCAUI BYEOL and the up in class (11) WINNER BROWN are others in the frame. Really good-looking race this and despite still being a maiden (1) ROSA could be the who takes the honours. She stepped up to class and distance on March 3rd and ran a good 2nd, having led most of the way around and beating a couple of these in the process. Hopefully she will have learned a little bit from that, and she can win here. (4) CHEONGDAM BLADE is up in class having secured his maiden win over this distance on February 7th but it’s two others up in class, the relatively unexposed pair of (5) TRUE VALOR and (6) KINGSTON HARBOR, who shed their maiden tags at 1300M and 1000M respectively, who may prove more progressive and can get close today. (2) MUJEOK VETERAN and (7) ROCKHARD FORCE are other up and comers who can have a line drawn through their latest efforts and given another chance here. (4) CLEAR GEOM got her maiden win at this distance on January before running 2nd on her first try at this class last month behind a horse who could be bound for the KRA Cup Mile next week. She looks to have plenty of potential and is very much the one to beat here. (1) ROYAL JOY did nothing on her first three outings but registered her maiden win when tried at this distance for the first time on February 23rd. Accordingly, she is up in class today but should be a factor. (8) QUEEN OF CAMP remains a maiden but steps up in class too as well as in distance having run close too many mains at class 6. She ran on well over 1300M last time and can be competitive at this level. (2) GAZUA and (7) BETTINA are others in the hunt. 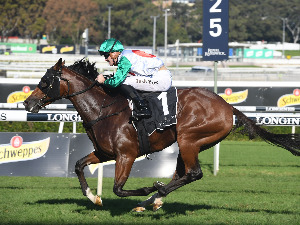 A winner of three from seven and already successful at class and distance, (3) BLACK TEN comes in having run a decent 2nd over 1800M a month ago. He led until the closing stages that day and back down to what looks at this time his preferred trip, he’s the one to beat. 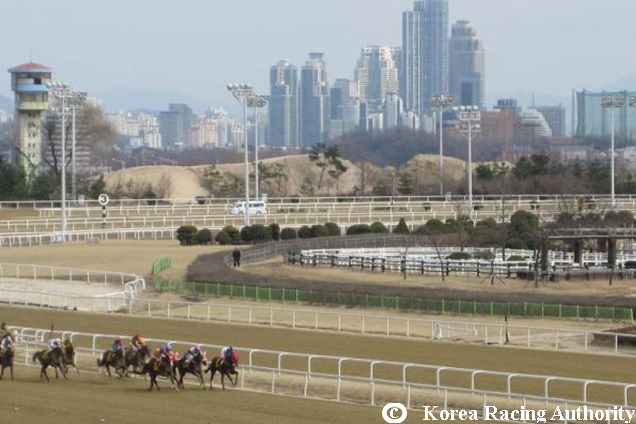 (7) CHEONNYEONUI ACHIM returned from almost five months off to run 5th over 1300M three weeks ago. He should have come on for that and steps up to a mile for the first time with claims to go close. (2) TRIPLE SILVER has only won one of eighteen outings but is up in class today after three consecutive runner-up finishes. He’s up in trip as well but should be competitive. (8) WIN GO MAN and (9) GANGHAN JILJU are others capable of finding the money in this company. (7) RULE BREAKER ran 3rd on his first true at this class on February 24th. He’s won at the distance before and while he was the beaten favourite last time, is worthy of another chance today. In that same race, (12) GIDONG DAEJANG was well back in the field but he returned to record an unexpected win just two weeks later at this class and distance. He carries an additional 3.5kg today but warrants respect. (9) JEWANGUI BYEOL got his maiden win over a year ago and has been knocking at the door since. He was 4th on his first try around two-turns at the beginning of this month and should have come on for it although he did display some poor racing manners. (1) STRONG CAPTAIN and (11) HANYANG GONGJU, the latter a strong class and distance 4th last time out, are others to take into consideration. (11) EVELYN returned from a few months out to run a solid 2nd place over a mile on March 1st. She steps up to 1800M for the first time with plenty of indications that it may suit and having come on or that run, she’s the one to beat. (10) CHIEF LEADER’s previous attempt at this trip in February didn’t go especially well but having run well when dropped back to a mile last time, he looks ready for another crack and should be dangerous. (1) OCEAN LINE and (2) PRIME RACE are both proven money winners at class and distance and have solid placing chances, while (7) CHOEGANG BULLET steps up to two-turns for the first time and is another who can aim for at least a place. (4) CHOINMA just keeps his remarkable record of avoiding the winner’s circle intact. And yet we keep returning to him and sending him off at a short price. Surely today is the day. 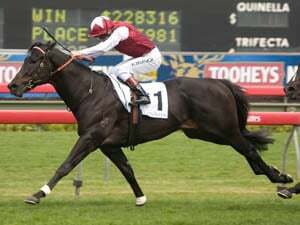 He comes in having beaten plenty of these in recent starts and was 4th last time out t at this class over 1800M. This time he wins for the first time since his juvenile season. Should he come up short again (and frankly, we must accept it’s possible), (6) BULMYEORUI JEWANG and (8) WONDERFUL CHAMPION look best placed to take advantage. Neither went well last time but can return to form today. (11) LUCKY ROOKIE is up in class having won three of his last five starts. His best work has been at shorter distances, but he should be in the placing hunt. (7) JEJUI HANEUL drops back in distance following two chastening experienced at 2000M and should be better. On the other hand, (1) BLUE WOLF, up in trip to two-turns for the first time, may also come into play. Plenty of form to go on here, with most of these having raced each other recently. (6) DYNAMIC STAR came out the best when four of them race at class and distance on February 24th, running 2nd to the very good King Of Glory. He looks beautifully in here once again and could go one better. The pick though is (2) CAPTAIN FORCE. 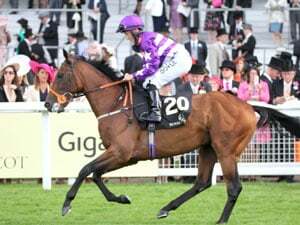 He only managed 6th that day after a poor start but he is the class horse of the race and should go much better this time. (12) GOOD CASTING beat four of these on his way to victory over 1800M on March 1st. He drops back to one-turn for the first time in well over a year but should be competitive. Finishing 3rd in that race was (3) SILLAUI JEONSEOL and he’s another who should be in the mix. Also dropping back in trip is Classic winner (8) WORLD SUN and he shouldn’t be completely ruled out, while the up in class (7) CORE BLADE is the wildcard. (5) GANGTOMA has won his latest two including his most recent at class and distance on February 24th when he had four of these behind him. A winner of eight from thirteen in total, he seems to still be getting better and he can continue to burnish his credentials with another win here under what is still a nice light weight. The reason for the light weight is because of the presence of highly-rated (12) WINNER GOLD. 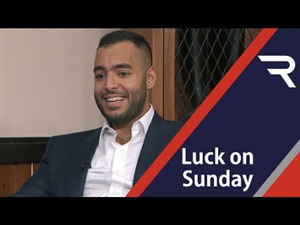 He enters having just come up short behind the excellent Road Winner over 2300M last month and while he is a top-class contender, giving away 5kg today hands the advantage to the similarly talented Gangtoma. Last year’s Queens’ Tour winner (11) CHEONGSU YEOGEOL takes her first crack at class 1 handicap company. She only races sparingly with a tilt at retaining that title set to be the main goal this year but she looks nicely in and she can be a threat. (4) NASCA PRINCE and (6) ULTRA ROCKET are others in the hunt in a really nice-looking race. Very competitive race to conclude with. Four of these raced each other at class and distance on February 24th with (11) ARGO MELODY coming home the best of them in in 2nd place. That was his second consecutive runner-up finish and he’ll be a danger today. (3) PRIMO was 3rd in that race while (2) WILD DRAGON came home in 5th place and both those will be threats again but the biggest danger – and top pick – is (5) GUREUM WANGJA, A winner of four from seven so far, he ran a close 2nd at this distance on his latest outing in January. Coming in fresh, he can sit off the pace and be too strong late on here. (4) SOL PARANG the best of the rest.